chanel graphite was the nail color at the fall ’11 ready-to-wear show. 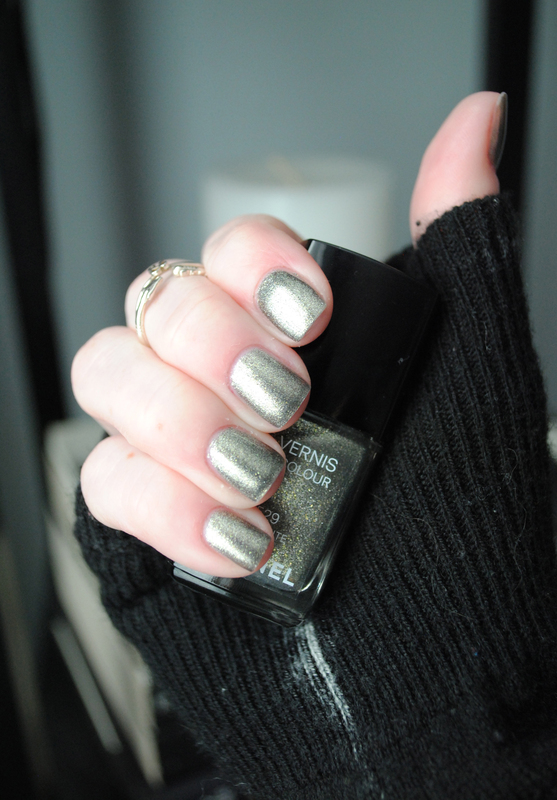 chanel kicked off the metallics trend of 2012 with this polish. there was an earthy feel to the show, reflected by some of the footwear and layering seen throughout the collection, and the polish builds on that atmosphere. this is one of my favorite chanel polishes — classic, but interesting. do you think the metallics trend is played out yet? I’m don’t think the metallics trend is over yet, but it’s definitely not at it’s strongest. The pictures you incorporated into this post are stunning-definitely good picks! Personally, I love that chanel polish and wish I had a bottle of my own. Also, if you don’t mind, I’d love it if you’d take a peek at my blog!